Industrial Wargaming Stairs. Other terrain shown for scale only. New sealed as pictured above! 140mm total length, walkway length 100mm. 2mm high edges positioned to allow a 32mm base on walkway. Other terrain and miniatures shown for scale only. Locating slots to fit any platform type terrain. 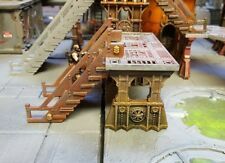 Warhammer 40k Sector Imperialis Ruins Sprues New Terrain Kill Team Scenery. Condition is New. Dispatched with Royal Mail 2nd Class. Platform support legs 72mm high - designed to allow more height variety to other terrain sets. 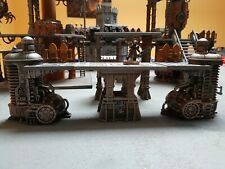 Industrial Wargaming Platform legs - set of 2. Other terrain shown for scale only. Colour may vary. 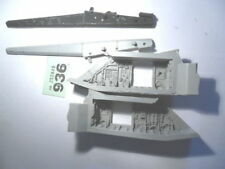 Please note that no models or terrain apart from the smoke markers are for sale. 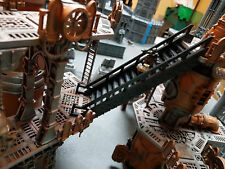 warhammer 40k sector imperialis Floor Sprue New Terrain Scenery. Condition is Used. Dispatched with Royal Mail 2nd Class. 67mm high - designed to be used with my 1/2 height platform legs to add variety to terrain. Industrial Wargaming Stairs. Complete set of numbered Objective Markers that can be used for futuristic wargaming - Ideal for Tactical Objectives. 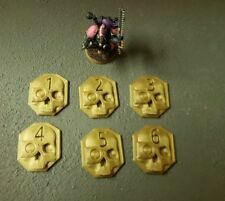 6 Objectives numbered 1-6 on Skull shaped tokens. Colours may vary. 28mm wargamming ladders. Other terrain shown for scale only. 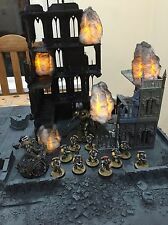 Kill Team game board. Condition is Used. Dispatched with Royal Mail 2nd Class. Sold as seen. Any models shown are for scale only - you are only purchasing the 3D printed scenery. This is just the plastic parts, so no foliage, paint pots, models, coins or anything else I include in the pics. Other terrain shown for scale only. Locating slots to fit any platform type terrain. Can be used in either orientation - walkway with pipe run underneath or with pipes on top. The Toxic Waste Cess Pits can give your wargaming scenery an extra edge. Sci-fi resin terrain pieces for 20mm-28mm battleboards. Warhammer 40k Aeronautica Imperialis Terrain. Condition is Used. Dispatched with Royal Mail 1st Class. This scenery has not been assembled or painted. Wound markers are supplied by the manufacturer in a protective paper, which should be scratched to reveal the plastic underneath. It's best to do this by putting the markers in a glass of warm water (not boiling) and waiting for a minimum of 10 minutes. Designed to work with my 67mm high platform legs to add more variety to platform heights. 28mm wargamming ladders. 67mm total length. Other terrain shown for scale only. Glowing smoke markers. They work for destroyed terrain or vehicles or use of scenery! The fire light really flickers. Only 1 smoke marker is included in this sale, the rest are for display purposes only. Also let me know if you would like small medium or large.... small = 4 inch, medium = 5 inch and large = 6 inch. Comes with a battery fully working ready for tabletop use. Battery easily replaceable. I have other listings where you can buy multiples at discount price. Can be used for wargaming - Ideal for Tactical Objectives. x6 Objective Marker (25mm). Co mplete set of numbered Objective Markers that. These are hard wearing and scratch resistant. 3x 50mm high edges with 2 corners. Great for finishing touches to basing terrain pieces. Colours of plastic may vary. TTCombat - Ruin Sector. sold as seen. The Forcefields provide defensive cover for your miniatures and their exquisite detail can give your wargaming scenery an extra edge. Sci-fi Forcefields by War World Gaming. warhammer 40k sector mechanicus Scenery. Condition is Used. Sold as seen Dispatched with Royal Mail 2nd class. 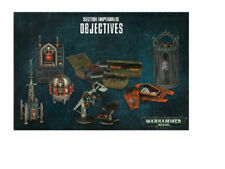 Warhammer 40k Citadel Scenery Obstacles and Barricades x 4 Packs of 6. Condition is Used. A total of 24 barricades and obstacles in excellent condition and barely used Please see my other Forge World Scenery listings Dispatched with Royal Mail 2nd Class. Sector Imperialis: Basilicanum Games Workshop Warhammer 40,000 Brand New. Condition is New. Scratch Built Necromunda/warhammer 40k Board Filler Job Lot x12 models. Not used in games. Figures not included. 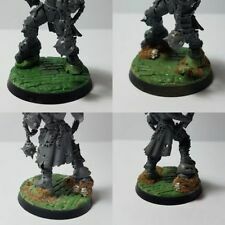 Undercoated Bespoke models Good for space filling and adding cover to your games. Bunkers, dugouts and barricades Good additions to your collection of scenery. What you see is what you get Uk post. No international post. 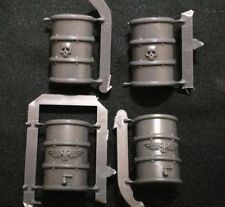 Wells Crates and Barrels Set of 5 by WWS. This unit is from the WWS Design Studio. and gives your Scenery an extra edge. 1 x Barrel. Suitable for 20-28 mm gaming. Ideal for any Wargaming Battleboard. Complete box. Opened but unwanted gift. See photos. Comprises 1 set of 2 Industrial platform legs and 1 x set of 3 67mm Tech ladders. 28mm wargamming ladders. 67mm high platform upgrade bundle. Platform support legs 67mm high - designed to be add height variety to other terrain sets.